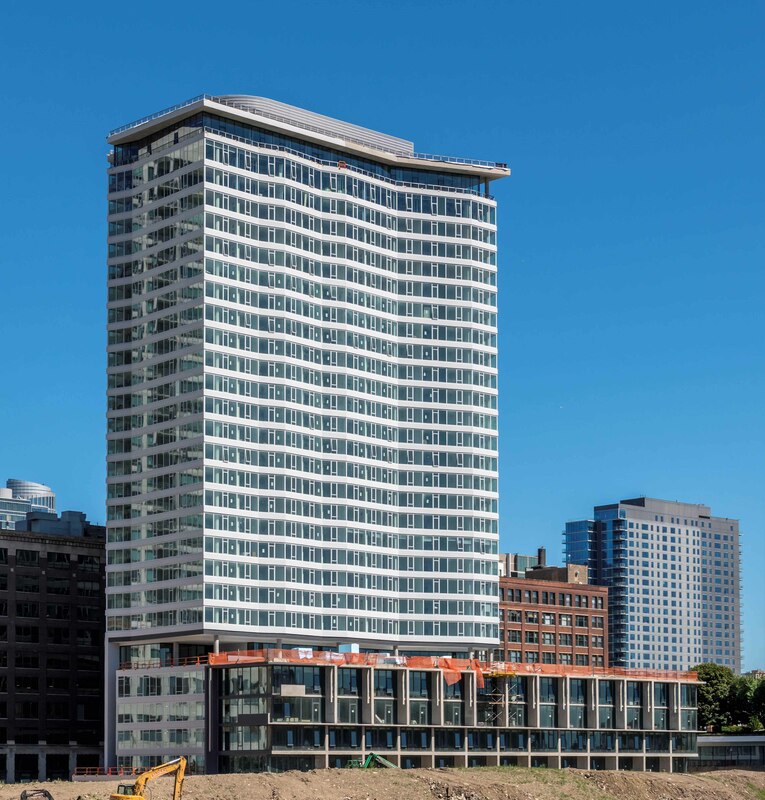 The Cooper Southbank, is a new 29-story, 452-unit apartment tower at 720 S Wells St in the South Loop, on the south branch of the Chicago River. 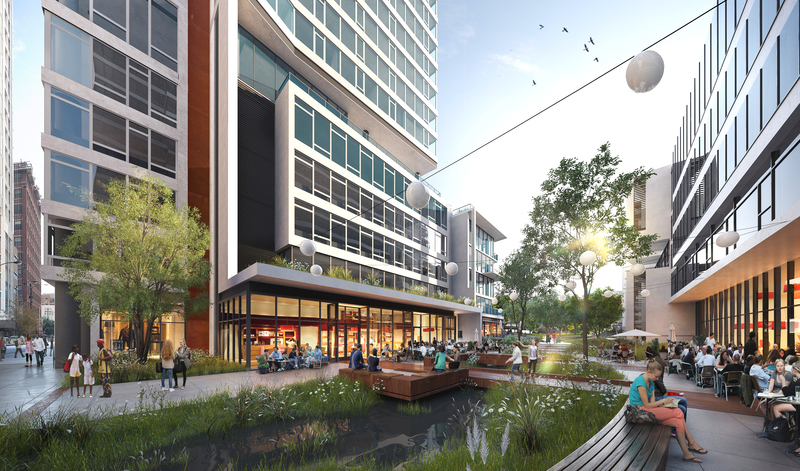 The Cooper is the first building in the Southbank development. 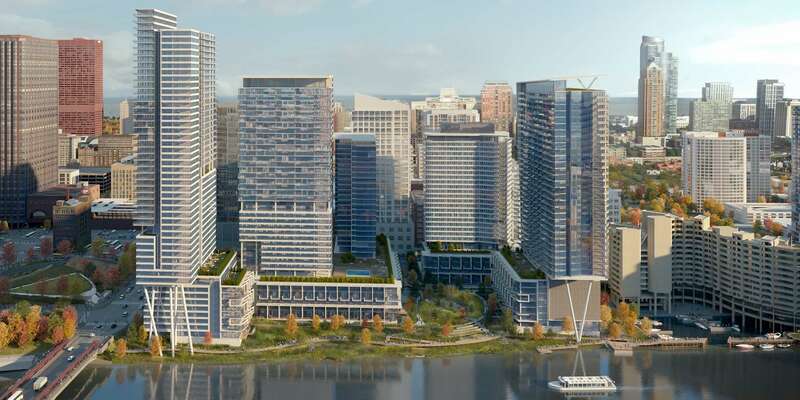 When complete, Southbank will include a park along the south branch of the Chicago River, 1,000s of apartments and condos, and a retail concourse. Apartments at The Cooper have plank flooring throughout and floor-to-ceiling windows with roller blinds. Kitchens have quartz counters, duotone cabinetry, and a stainless-steel appliance package that includes a gas range, dishwasher and built-in microwave. All of the apartments have in-unit washer / dryers. A number of the units have balconies and penthouse units have large terraces. Studio apartments start at $1,875 a month, 1-bedrooms at $2,423, and 2-bedroom, 2-baths at $3,157. 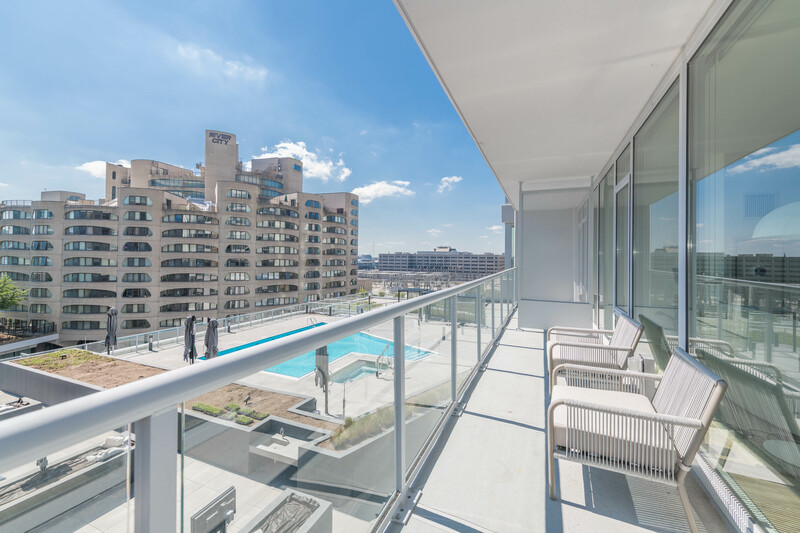 Three-bedroom, 3-bath townhomes start at $7,450 a month, and 2-bedroom, 2- bath penthouses at $4,646. Floor plans and near real-time rent and availability info are online. Up to a month’s free rent is available on select apartments for a limited time. 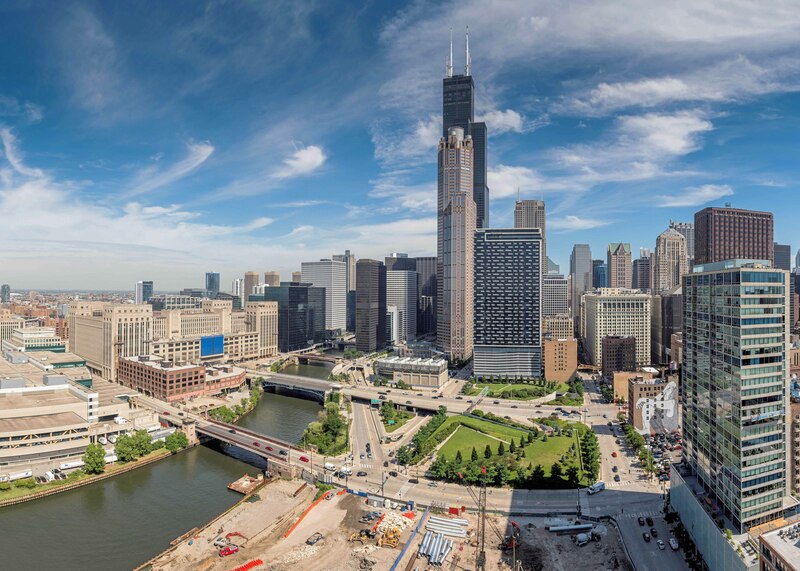 North and west-facing units at The Cooper have dramatic views of the Willis Tower and the Loop skyline. 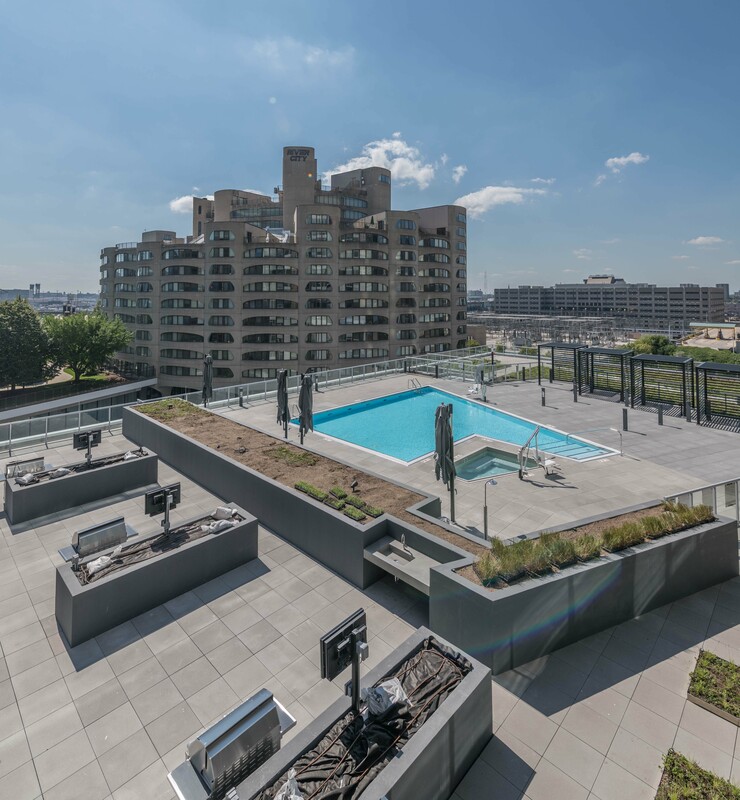 The Cooper has an extensive and innovative amenities package, including a landscaped pool deck that wraps around the south and west sides of the building. 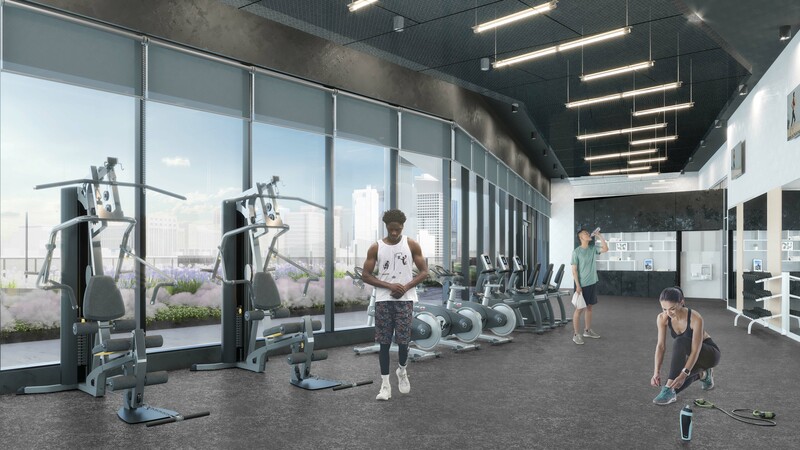 There’s also a rooftop lounge and terrace, a demonstration kitchen, a fitness center, co-working space, a music room, a spa and resident lounge and gaming areas. The Cooper is pet-friendly. It has on-site management, maintenance and leasing staff, and 24/7 door staff.